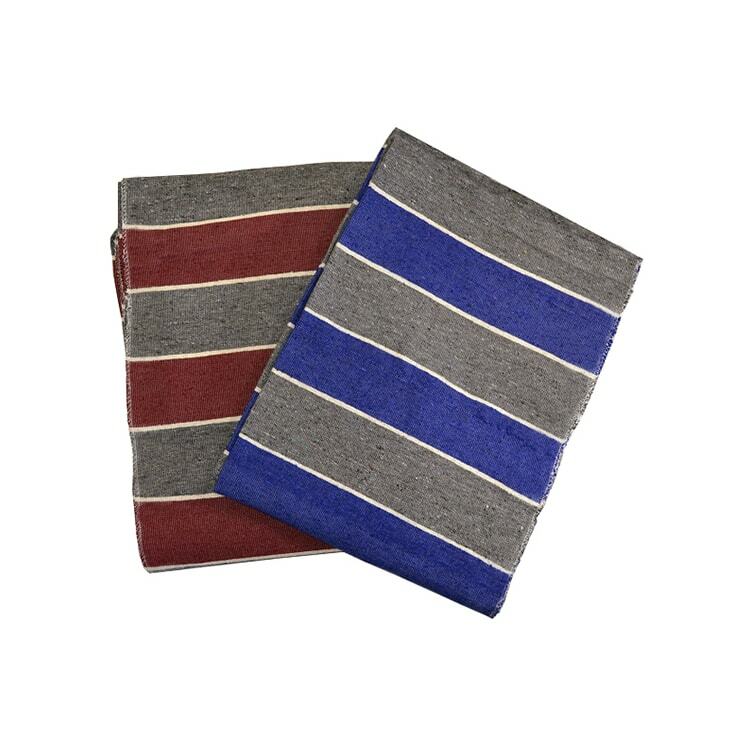 The YogaDirect Striped Blanket enhances any home or professional yoga space. You?ll be glad to know that these blankets can be washed in a regular washing machine. Wash after wash, they hold their shape, color and super soft texture! This high-quality, yoga blanket is super soft. At 80?x55?, the blanket is big enough to cover your whole body when lying down. Use this loosely woven blanket for warmth, comfort or lend support and extra padding for yoga poses such as shoulder stand or plow. Great product. Great rolled up for support or opened out for savasana.